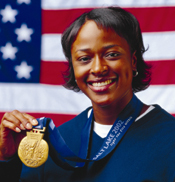 October 29, 1973 Vonetta Flowers, the first Black person to win a Gold Medal in the Winter Olympic Games, was born in Birmingham, Alabama. Flowers was a sprinter and long jumper at the University of Alabama and aspired to make the United States Summer Olympic Team. After several failed attempts, she turned to making the Winter Olympic Team as a bobsledder. 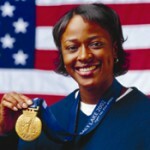 At the 2002 Salt Lake City Winter Olympics she won a Gold Medal in the two-woman bobsledding event. Flowers also competed in the 2006 Turin Winter Olympics finishing sixth in the event. She retired from competition after the games.